Later this year, Tom Hardy will attempt to successfully meld investigative journalist Eddie Brock with an alien symbiote to become Venom. And although this isn’t the first time he’s undertaken a role in which most of his gorgeous mug is concealed, it also won’t be the last. Surely by now, we’ve all grown accustomed to watching Hardy perform with the better part of his face covered (see: The Dark Knight Rises, Mad Max: Fury Road and Dunkirk). That said, nothing can prepare you for what you’re about to see. 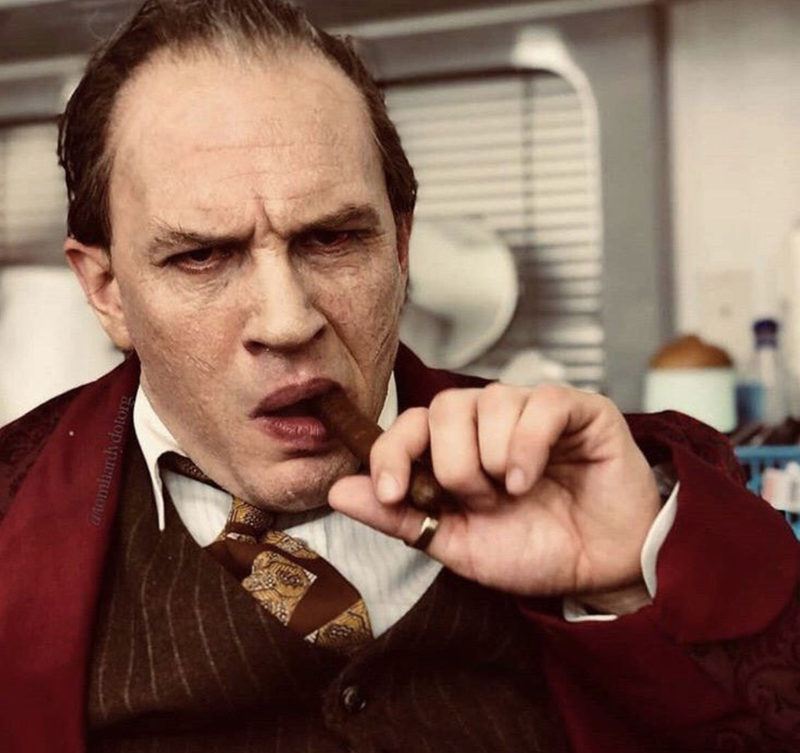 For those of you who don’t know, Fonzo‘s an upcoming biographical drama focusing on notorious crime boss Al Capone, following his decade-long incarceration. 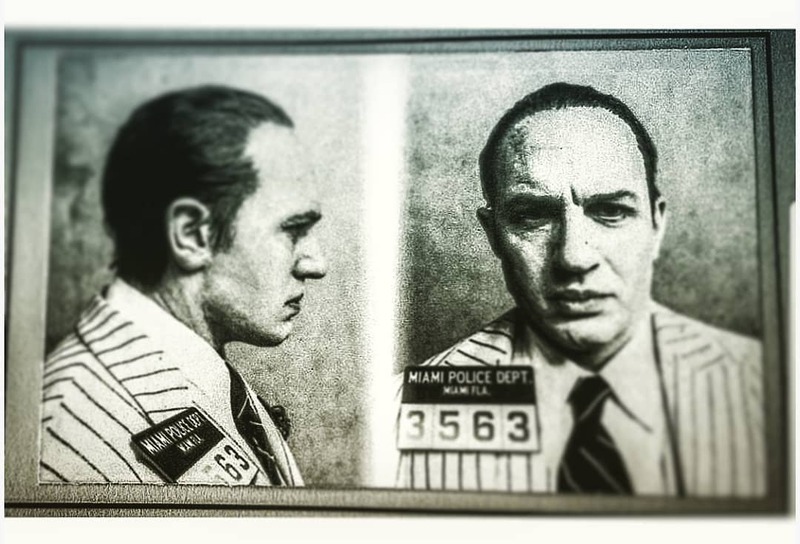 Scheduled for release sometime in 2019, the Bron Studios-backed feature will be directed by Josh Trank (Fantastic Four) and star none other than, you guessed it, Tom Hardy as the Chicago Outfit mafioso. Currently in post-production, today brought the first official look at the actor in the role and the image is so astonishing that it really has to be seen to be believed. 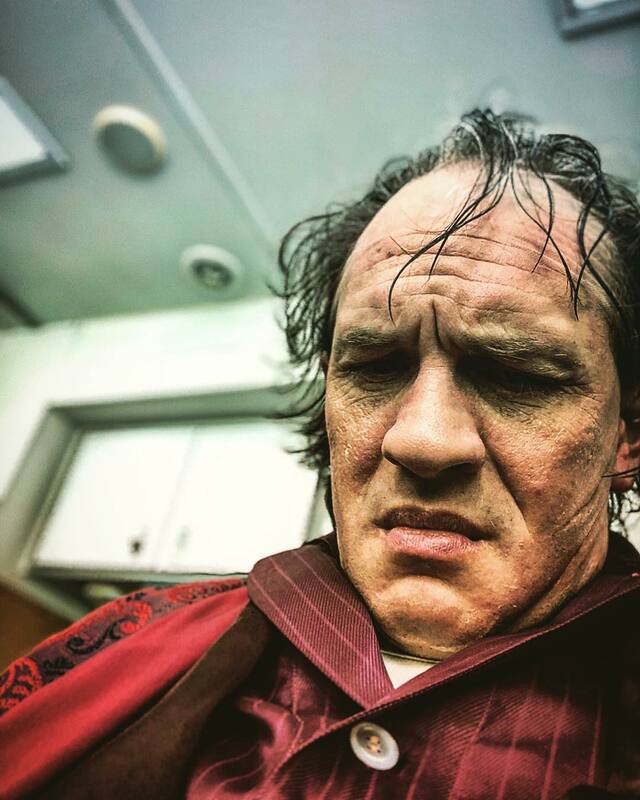 Thankfully, we’ve got it for you down below, and in case you missed it, earlier this year, Hardy and Trank each took to their respective Instagram page to share a peek at the former in full Capone prosthetic, which we’ve also included for you. Initially slated for a 2018 release, but pushed back to accommodate Hardy’s role in Venom, Fonzo is said to trail Capone as he grapples with dementia and is haunted by his violent past. Alongside Tom for the ride are Kyle MacLachlan, Matt Dillon, Linda Cardellini and Noel Fisher. It certainly has all the makings of an awards contender, then, and if nothing else, it’s sure to feature another tour de force performance from the always impressive Tom Hardy.